History will be made Saturday at Aqueduct when nine horses spring from the gate in the Grade 3, $300,000 Gotham Stakes. 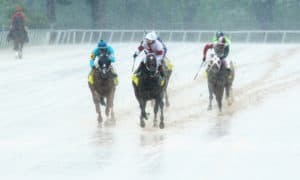 For the first time ever in the Kentucky Derby Points era, 50 points will be awarded to the winner of a race that’s contested at a one-turn mile. 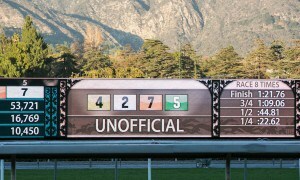 The original concept of the points system was to award horses in the best recent form while also running around two turns. However, with the change to the track configuration at Aqueduct, the Gotham will be run at a mile. The experienced New York horse in the race will be Mr. Amore Stable’s Firenze Fire, a winner of multiple graded stakes races at a one-turn mile. 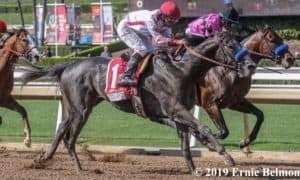 The Poseidon’s Warrior colt kicked off his 3-year-old year with a 1/2-length victory in the muddy $150,000 Jerome Stakes before a runner-up finish in the Grade 3 Withers Stakes. 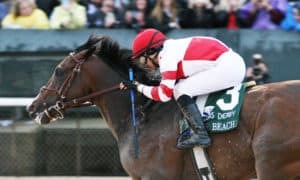 Still, he remains a bit of an underdog when it comes to the Kentucky Derby, but trainer Jason Servis believes that he has a quality horse on his hands. Free Drop Billy brings the most class to this race, as he is already a Grade 1 winner and finished a solid second in the Grade 3 Holy Bull Stakes, his 3-year-old debut. 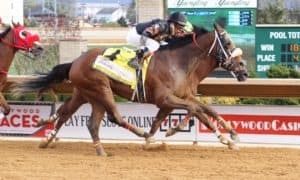 Trainer Dale Romans will look to remain hot on the Kentucky Derby trail after picking up a win with Promises Fulfilled last weekend in the Grade 2 Fountain of Youth Stakes. Romans believes that the change in distance will not bother Free Drop Billy. “I think it’s a wide-open race,” Romans said. 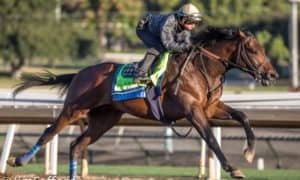 “For most of the 3-year-old preps at this time of the year, they’re all wide-open, everybody is starting to come together, but he’s doing great, so we’ll see how it goes. 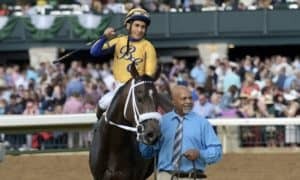 The Gotham will go off last on a ten-race card that will also feature the Grade 3 Tom Fool Handicap, the $150,000 Stymie Stakes, and the $150,000 Heavenly Prize Invitational. The Gotham has a post time of 5:42 PM ET. The field from the rail out: Dial Operator, Cove Blue, Beautiful Shot, Whereshetoldmetogo, Firenze Fire, Free Drop Billy, Old Time Revival, Nine Route, and Enticed. #6 Free Drop Billy – He scratched out of the Fountain of Youth last weekend to run in this spot, a decision that turned out well when his stablemate, Promises Fulfilled, won the race in wire-to-wire fashion at 18-1. The move was also smart because this spot should set up well for a horse that can sit off the early speed and make one big run at the end. Romans is loaded with 3-year-olds, and this may be his best one. He will have a big shot if the pace develops as expected, and his solid experience going one turn gives him the upper hand. 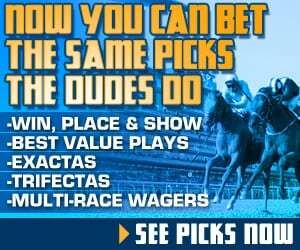 #1 Dial Operator – He’s ready for this challenge after two straight victories at smaller tracks to begin his career. 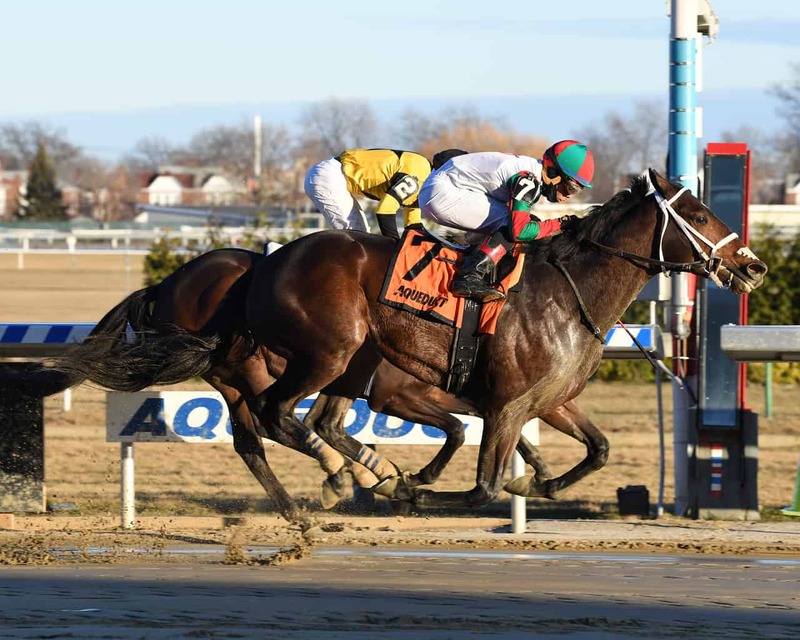 The son of Dialed In looked great over the summer when breaking his maiden at Monmouth Park, but he was’t seen again until this February, when he dominated allowance foes at Laurel Park. He will have to stretch out to a mile here, but his breeding suggests that he should have a big shot to excel. There are major question marks about him going two turns, but for this race, he fits very well. #5 Firenze Fire – This should be the perfect race for a horse that is two-for-two when running one-turn mile races. 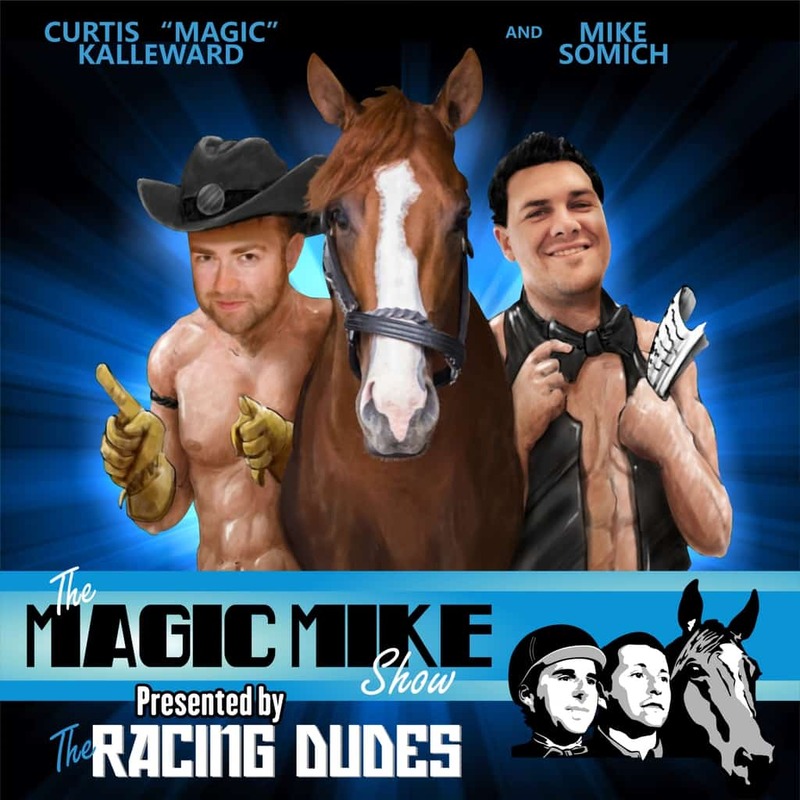 One of his victories came in the Champagne over Good Magic, with the other coming in the Jerome here in January. More good news for Firenze Fire: the pace is going to set up perfectly for him, as plenty of speed is in this race. Expect him to come with a big run at the end, and he should be tough to hold off. It may come down to which of our top three choices gets the best trip, as they all have similar running styles. We’ll see who can close the fastest. 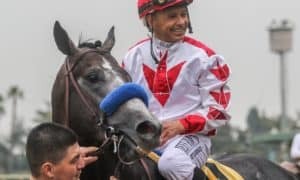 #9 Enticed – He seemed to be all set for his 3-year-old debut in the Holy Bull, but he failed badly in that race, finishing fourth while beaten by nearly 15 lengths. 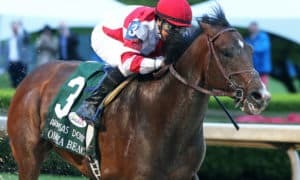 If he can rebound here, then he can still make an impact, though, as he was very solid as a 2-year-old when winning the Grade 2 Kentucky Jockey Club Stakes over Tiz Mischief and Promises Fulfilled. He should be able to stalk this hot pace and pounce when the time is right. His last race scares me a bit, but he’s a player here if he can rebound. #3 Beautiful Shot – He ships in from California after two wins and a third-place effort over last summer/fall. Last time out, he was third in the Grade 3 Bob Hope Stakes, 9 lengths behind Greyvitos and Mourinho. He’s been training forwardly heading into this race and could be a player if he fires fresh off the layoff. The Bob Hope has come back fairly productive, so even though he was beaten fairly badly by those two previously-mentioned horses, it still gives you some hope. #8 Nine Route – He’s a winner of three straight, but they all came against state-bred company here in New York. He’ll now try open company for the first time, which could be a tough spot for that to happen. He’ll also be involved in what will likely be a major pace duel. It’s going to be a tough ask for him, but New York-breds have been running well at Aqueduct in big races all year long. #2 Cove Blue – He broke his maiden two back, but in his last start, he was easily defeated by two colts that haven’t returned to run well. He needs to improve to have a shot here, but he’ll like the one-turn distance of this race. #7 Old Time Revival – He’ll leave Laurel Park for the first time after picking up only one win in five starts. That isn’t the resume you want to see when handicapping a race of this magnitude. #4 Whereshetoldmetogo – Already with several starts under his belt, he’s been up and down for most of his career. Last time out, he won a $60,000 stakes race at Gulfstream Park, but he must run an improved race here to have a shot.